GIBSON, GA - Mr. Clifton Lester Hobbs, age 70 beloved husband of Mrs. Susan Guy Hobbs of Hadden Ranch Road entered into rest Tuesday evening October 2, 2018 at his residence. Funeral services will be held at 11:00 A.M. Friday at the Mill Creek Baptist Church in Glascock County, GA. Burial will follow in the church cemetery. Mr. Hobbs, a native of Glascock County, GA was the son of the late Frances McNair Hobbs and Lester Hobbs. 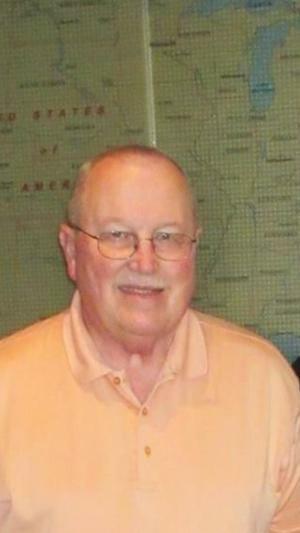 A 1966 graduate of Warren County High School, Clifton served his county in the U.S. Army during the Vietnam War. He retired from J.M. Huber Corporation after 32 years of service. Mr. Hobbs was member of the First Baptist Church of Warrenton, but attended Reedy Creek Baptist Church. He will be remembered for his love to travel with family and friends and his fishing trips to the St. Johns River. In addition to his wife, survivors include daughters, Jennifer (Jonathan) Thigpen of Wrens, GA , Heather Rodgers of Dudley, GA; sons, Brad Hobbs of Augusta, GA and Lane Hadden of Dudley, GA, sisters, Beverly Milford and Connie Richards both of Thomson, GA, Grandchildren, Reagan Thigpen, Tyler Thigpen, Travis Rodgers, and Sabrina Rodgers. Pallbearers will be Walker Davis, Terry Johnson, Ben Hadden, Ronnie Hadden, Keith Newsome, and Bobby Hadden. Honorary Pallbearers will be Ronnie Abbott, Larry Johnson, John Bebbington, Bobby Thigpen, Al Kitchens, Tack Johnson, Tommy Duckworth, and Jesse Reese. The family will receive friends from 6:00 – 8:00 P.M. Thursday evening at Lowe Funeral Home. If so desired, the family has requested memorials be made to the Glascock County Concerned Citizens for Cancer, C/O Mrs. Mary Chalker 820 Harper Street Gibson, GA 30810 or the American Cancer Society National Office P.O. Box 42040 Oklahoma City, OK 73123 or to St. Jude’s Children’s Hospital 501 St. Jude Place Memphis, TN 38105.